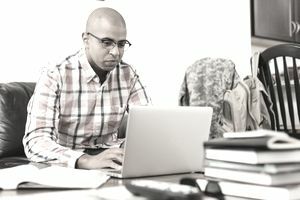 How Does the Montgomery GI Bill Work for Members of Selected Reserves? The good news is, unlike the Active Duty Montgomery G.I. Bill (ADMGIB), to participate in the Selective Reserves Montgomery G.I. Bill (SRMGIB), one does not have their pay reduced by $100 per month for the first 12 months of service. Also, one can begin using benefits immediately after IADT (Initial Active Duty for Training), which normally means right after completing basic training and military job training school. The bad news is that the SRMGIB pays much, much less in education benefits. The SRMGIB pays a total of $11,844 worth of education benefits, compared to total benefits of more than $47,000 for the active duty program. Like the ADMGIB, the SRMGIB is not managed by the individual services. The program is managed by the Veterans Administration (VA), under laws enacted by Congress. The program is for members of the Selected Reserve of the Army, Navy, Air Force, Marine Corps, and Coast Guard, and the Air and Army National Guard. "Selected Reserves" means those individuals who are drilling a minimum of one weekend per month, and two weeks per year (so, it doesn't include the "inactive reserves," who don't drill). Six-year selected reserve obligation: You must have a six-year obligation to serve in the Selected Reserve. If you’re an officer, you must agree to serve six years in addition to your current obligation. Complete your IADT (Initial Active Duty for Training): In most cases, this means basic training and military job training school. Maintain selected reserve status: Serve in a drilling Selected Reserve unit and remain in good standing. Completed high school: You must have obtained a high school diploma or equivalency certificate before you apply for benefits. Completing 12 hours toward a college degree before you apply for benefits also meets this requirement. ROTC scholarship: You can’t be eligible for SRMGIB if you’re receiving financial assistance through the Senior ROTC program. Interestingly, however, while federal law prohibits ADMGIB benefits for those who receive a commission through a service academy, there are no such restrictions under the law for the SRMGIB. AGR status: If you enter Active Guard and Reserve (AGR) status, your eligibility for MGIB – SR will be suspended. You may be eligible for MGIB – AD. You may resume MGIB – SR eligibility after your AGR status ends. Federal active duty: Under some active duty enlistment programs, part of the credit for obtaining the ADMGIB is based on continuing service (after active duty) in the Selected Reserves. If your active duty enlistment falls under one of these programs, you aren't eligible for the SRMGIB. Your Reserve or Guard component makes decisions about your eligibility. VA doesn’t have authority under the law to make or reverse eligibility determinations. If your eligibility status is corrected, VA will pay benefits for periods when you were eligible. The SRMGIB used to expire 14 years after one became eligible, or upon discharge from the Selected Reserves, whichever occurred first. However, this has been changed by the FY 2008 Defense Authorization Act. MGIB benefits now expire 10 years after honorable discharge from the Selected Reserves. Note: Congress has made significant enhancements to the GI Bill for military members (active duty, Guard, and Reserves) with post-9/11 active duty service. The VA uses the term "entitlement" to mean the number of months of benefits you may receive. Under the ADMGIB, one is entitled to 36 months worth of full-time benefits. Therefore, to find the maximum entitlement, one takes the maximum monthly payment and multiplies it by 36. The above rates would be paid until your entire entitlement ($11,844) is used. In other words, full-time students would receive 329.00 per month for up to 36 months, 1/2-time students would receive $246.00 per month for up to 72 months, etc. Full time generally means taking at least 12 credit hours in a term or 24 clock hours per week. 3/4 time generally means taking at least 9 credit hours in a term or 18 clock hours per week. Half time generally means taking at least 6 credit hours in a term or 12 clock hours per week. For approved programs in college and vocational or technical schools, basic payments are monthly and the rates are based on your training time. For on-the-job training (OJT) and apprenticeship programs, rates are monthly and based on your length of time in the program. Your MGIB rates decrease as your wages increase according to an approved wage schedule. For correspondence courses, you receive 55 percent of the approved charges for the course. For flight training, you receive 60 percent of the approved charges for the course. The basic monthly rates increase October 1 every year with the Consumer Price Index (CPI) increase. They may increase at other times by an act of Congress. If you’re in a critical unit or have a critical job skill, you may be entitled to an additional amount, commonly known as a "kicker." The "kicker," is an additional amount of money that increases your basic MGIB monthly benefit and is included in your VA payment. Example. Let's say you have the SRMGIB and a "kicker" of $5,000. Your total education entitlements are the SRMGIB ($11,844), plus the "kicker" ($5,000), or $16,844 total. Divide that number by 36 and you get $467.88 worth of full-time education benefits, per month, for 36 months. This is how much you would receive if you attended school full time while in the Selected Reserves. NOTE: You can’t use the same period of service to establish eligibility for both the SRMGIB and the ADMGIB. You may receive a maximum of 48 months of benefits under more than one VA education program. For example, if you used 30 months of benefits under the ADMGIB and are eligible for SRMGIB, you could have a maximum of 18 months of entitlement remaining. An undergraduate or graduate degree at a college or university. You may take a cooperative training program. You may also take an accredited independent study program leading to a standard college degree. A certificate or diploma from a business, technical, or vocational school. An apprenticeship or OJT program offered by a company or union. Apprenticeships or OJT programs may offer an alternative to college or vocational school for helping you gain experience in the field you choose. Flight training. You must have a private pilot certificate and meet the medical requirements for the desired certificate before beginning training. If your program began before October 1, 1998, you must continue to meet the medical requirements throughout your flight training program. Programs overseas that lead to a college degree. Caution: A State agency or VA must approve each program offered by a school or company. Bartending and personality development courses. Any course given by radio. Self-improvement courses such as reading, speaking, woodworking, basic seamanship, and English as a second language. Any course that is avocational (isn’t leading to an occupational objective) or recreational in character. Courses that don’t lead to an educational, professional, or vocational objective. Courses you’ve taken before and successfully completed. Courses you take as a Federal government employee under the Government Employees' Training Act. A program at a proprietary school if you’re an owner or official of the school. Courses you take while you’re receiving benefits for the same program from the Office of Workers’ Compensation programs. The VA can’t pay for the costs of a test for a license or certification for employment. This benefit, although paid under the ADMGIB program, isn’t payable under the SRMGIB. Under the law, the VA must reduce your benefits if you’re in a Federal, State, or local prison after being convicted of a felony. If you seek a college degree, the school must admit you to a degree program by the start of your third term. You may be eligible for benefits for remedial, deficiency, and refresher courses. You may receive benefits for remedial or deficiency courses if you need them to assist you in overcoming a weakness in a particular area of study. The courses must be necessary for your program of education. Refresher training is for technological advances that have occurred in a field of employment. It’s available only if you have been on active duty. The technological advance must have occurred while you were on active duty or after your separation. The VA must charge entitlement for these courses. You may receive a special allowance for individual tutoring if you train in school at one-half time or more. To qualify, you must have a weakness in a subject, making the tutoring necessary. The school must certify the tutor's qualifications and the hours of tutoring. If eligible, you may receive a maximum monthly payment of $100. The maximum total benefit is $1,200. The VA won’t charge you entitlement for the first $600 of tutorial assistance. For payments beyond $600, they figure your entitlement charge by dividing the amount they paid by your full-time rate for schooling. You may be eligible for an additional allowance under a work-study program. Under the work-study program, you work for the VA and receive an hourly wage. You may do outreach work under the supervision of a VA employee, prepare and process VA paperwork, work at a VA medical facility, or other approved activities. You must train at the three-quarter or full-time rate. The maximum number of hours you may work is 25 times the number of weeks in your enrollment period. Payments will be at the Federal or State minimum wage, whichever is greater. You can receive benefits for one change of program without VA approval for the change if your attendance, conduct, and progress in the last program were satisfactory. The VA may approve additional changes if the proposed programs are suitable for your abilities, aptitudes, and interests. The VA won’t charge a "change of program" when you enroll in a new program if you successfully completed your last program. Once you start receiving benefits, you must maintain satisfactory attendance, conduct, and progress. If you don’t meet your school’s standards, the certifying official must, by law, notify the VA. The VA, by law, must stop your benefits if the school reports unsatisfactory attendance, conduct, or progress. The VA may resume benefits if you reenter the same program at the same school, and your school approves your reentry and certifies it to VA. If you don’t re-enter the same program at the same school, they may resume benefits if the cause of your unsatisfactory attendance, conduct, or progress has been removed. The VA also must find that the program you intend to take is suitable to your abilities, aptitudes, and interests. You can complete and submit the application online. Just go to www.gibill.va.gov and click on "Electronic Application Form." You can also print out the form from the above site and mail it to the VA regional office that processes your claim. Call 1-888-GIBILL-1 (1-888-442-4551) and request the form. (Unfortunately, you may have difficulty getting through quickly at the toll-free number, especially when school enrollments are heavy. You may have more success by going to the Internet site). You may also be able to pick up the application from the school or training facility you’re attending. Most schools have counselors that will help you complete the application form. First, check in with the school or training facility official who certifies enrollments for VA benefits. At a school, this official may be in one of the following offices: Financial Aid, Veterans Affairs, Registrar, Admissions, Counseling, or other offices. For OJT or an apprenticeship, the official may be in the Training, Finance, Personnel, or other offices. Note: The certifying official isn’t a VA employee. The official can tell you whether the program you want to take is approved for VA benefits. If the program is approved, the official must submit your enrollment information to the VA. Second, complete the application package for VA benefits and send it to the appropriate VA regional office. Your completed VA Form 22-1990, Application for VA Education Benefits. If you’re on active duty, you must have your base Education Service Officer certify your application by signing in the appropriate block. Certification of your enrollment. The school or training official who certifies enrollments must send this information to VA. If you haven’t decided on the program you want to take, or simply want a determination of your eligibility for MGIB, just send the application (VA Form 22-1990). If you’re eligible, you’ll receive a Certificate of Eligibility showing how long you’re eligible and how many months of benefits you can receive.